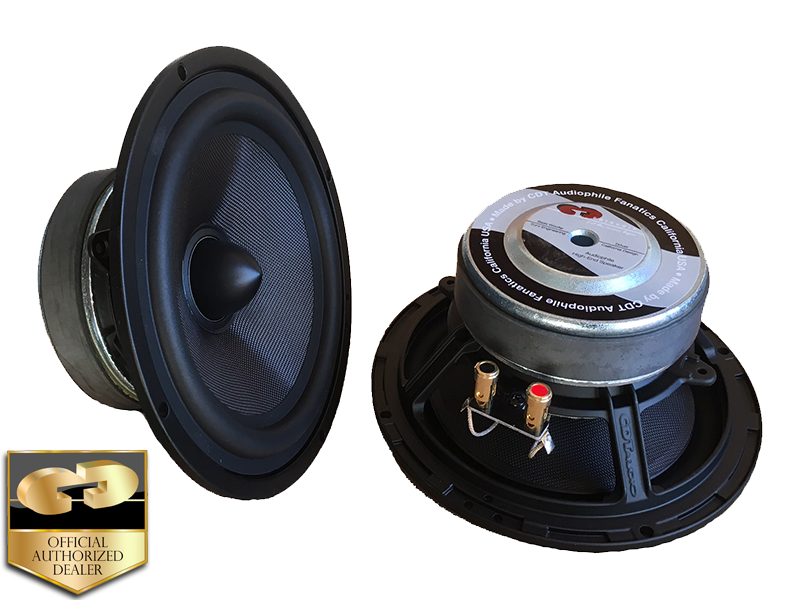 upper midrange is mellower than the standard type 6.5” mid-woofer designs. These fabulously smooth, mixed fiberglass fabric black coned beauties extract all the music and add no coloration to that sound. From rap to rock to smooth jazz, they are on top. The rendering of serious classical profundities is also exquisite. Utilizing a rubber edge and soft polymer dust-cap, these drivers create and absorb vibratory waves with astonishing control. It’s convertible design makes it possible to remove the bullet at the center of the cone and add a tweeter for a coaxial speaker design.